Out-of-home is more popular than ever: according to Nielsen, German marketing managers spent a hefty EUR 2.23 billion last year on outdoor advertising. This indicates a growth factor of 12.4 percent on the previous year. But which brands have actually internalized the out-of-home strategy? We present three best practice campaigns and explain what start-ups can learn from them. The idea? To drum up publicity for the revival of the popular comedy series Roseanne, the US TV broadcaster came up with a unique idea: They converted an entire New York City subway train into the well-known living room of the Conner family – the seats are modeled on their iconic sofa, the walls are hung with current portraits of the cast and they even included details like the funky brick fireplace. 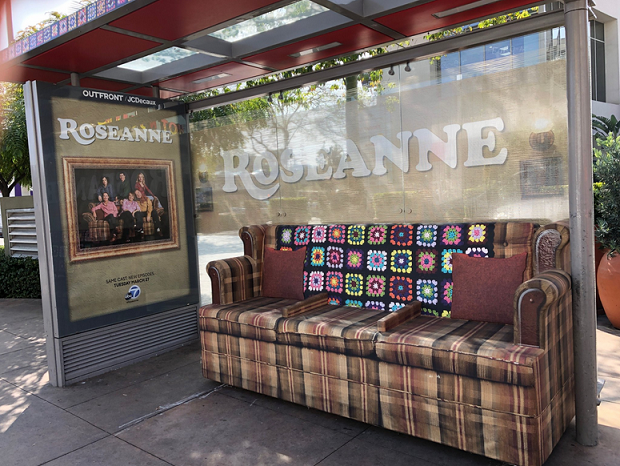 But it didn’t end there: they simultaneously redesigned a number of bus stops “Roseanne-style” in New York, Chicago and Los Angeles, and ABC even had part of the set reconstructed for the recent SXSW Digital Festival in Austin. Fans could satisfy their hunger with sandwiches from Landford Lunch Box (the popular deli from the series), while various on-site cast members gave autographs. What can start-ups learn from this? Let’s be realistic: to launch a campaign like this, you need a marketing budget in the 6-digit realm. But start-ups can very well learn something from the concept behind it: with the targeted positioning of memorabilia from the series’ iconic set, ABC draws in yesterday’s fans – who still reminisce about the original comedy format – while sharing this experience with a potential young audience. Out-of-home and Experiential Marketing elements made this possible. Copy that! What can start-ups learn from this? Since this idea has been copied for a wide range of different campaigns, it naturally no longer packs the punch that the original had. 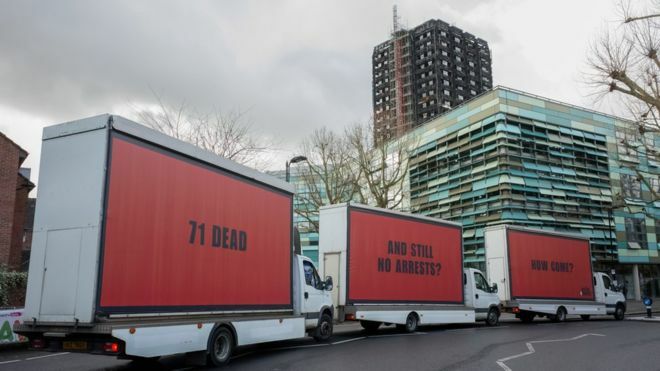 But the example initiated by the Londoners does show that you don’t have to spend loads of money to make a point with intelligent out-of-home measures. The idea? For the music streaming provider’s annual year-end list of next year’s goals, this time around they went for comic relief and incorporated some fun facts from their huge portfolio of user data in their “2018 Goals”. An example: one of the posters presents a portrait of British singer Ed Sheeran along with the request, “Show just as much love as the person who compiled 48 Ed Sheeran songs on the playlist “I Love Gingers””. Below that came the information that Ed Sheeran’s “Shape of You” is the most-streamed song of all time. What can start-ups learn from this? Brands should exploit all means available to them. In the case of Spotify, this is their vast body of interesting user data. It also makes sense for other start-ups to use their own resources in a similar manner. But beware: as important as it may be to dazzle your audience with creative campaigns, compliance with data protection is a must – especially when it involves the use of client data.